I’ve been working through this series, and I have to be careful to not devour them too quickly. Not sure how many books there are, but it’s nice that each is a contained story. At this point, you don’t need to have read the first two books to understand what’s going on or to enjoy the third installment. The author does a nice job of writing a series. You get snippets of what happened in the past, but it’s no more than a few paragraphs sprinkled throughout the book. This is a series, so the romance is moving at a snail’s pace. As is the back story on Fortune, the story’s protagonist. 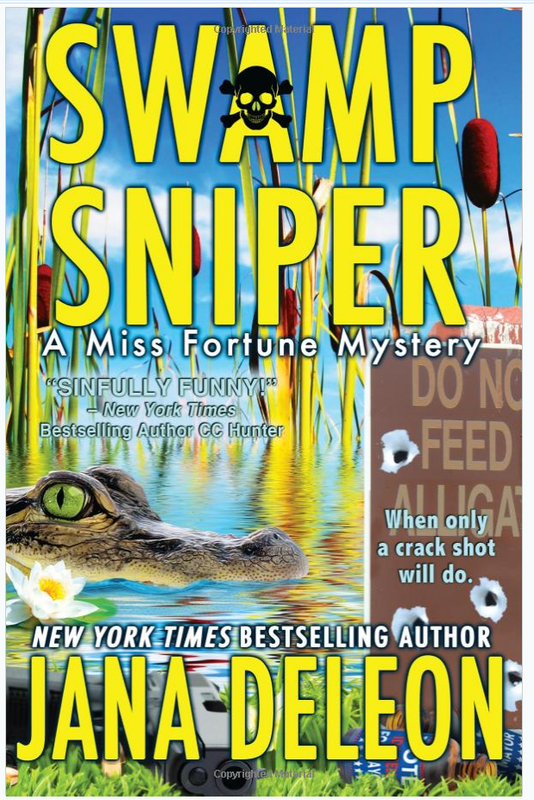 Fortune has been stashed in the backwater, rural Louisiana town of Sinful while the CIA tries to ferret out the leak that sold her out to some very bad men. While there, she’s befriended by some of the locals, including the Geritol Mafia. The premise of this book is that Fortune’s friend, Ida Belle, is accused of murdering Ted through poisoned cough syrup (moonshine). Ted had been running against Ida Belle in the mayoral race, but that’s not a reason to kill anyone in Sinful. No motive is ever established as to why she’d want ted dead, but the real issue is the poison used to kill Ted happens to be the gopher killer that resides in Ida Bell’s shed. The story lost a little believability for me that there would be a solid case against Ida Bell as everyone knew the poison was there, and it wasn’t exactly locked up. Lots of people also had access to the cough syrup. But, I suspended disbelief as Gertie and Fortune try to prove Ida Belle’s innocence. Carter, the deputy sheriff, doesn’t think that Ida Belle is the killer, but Sinful wants an arrest and so does the prosecutor. Of course he doesn’t want Gertie and Fortune investigating, and that adds to the hijinks. This story is written in the same vein as the first two. It’s a fun, easy read. I appreciate that a lot. While I sometimes doubt how effective of a CIA assassin Fortune actually was, she doesn’t do anything I’d deem too stupid. I also appreciate that the author keeps the female characters strong and mostly competent. I love the cast of characters in this story, and even the secondary characters have a great deal of personality. A good, easy read to make you smile and that you can finish in an evening.